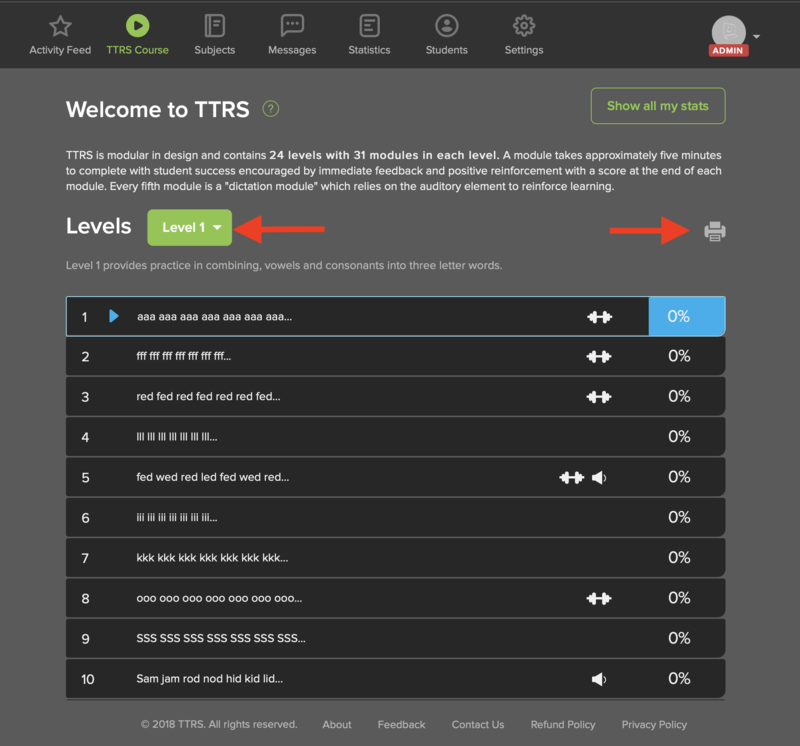 You may ask your student to take a placement test to check their spelling level. To print out a spelling assessment, log in to an Admin account. 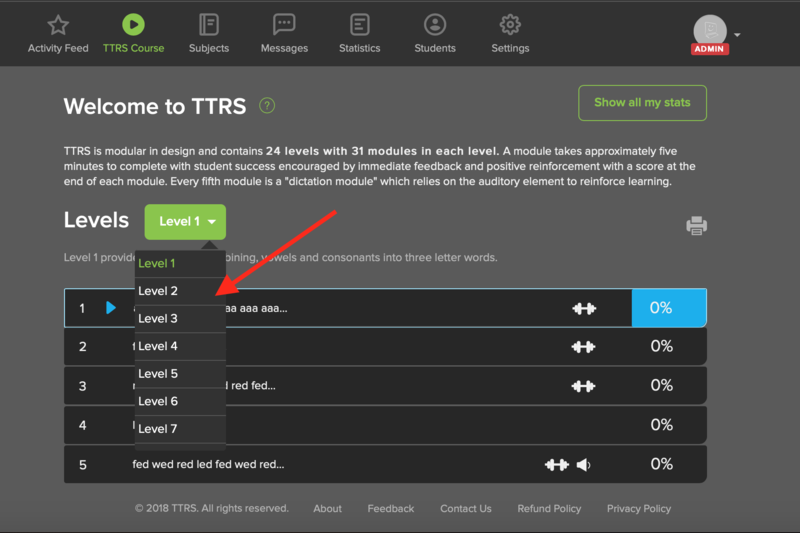 Under TTRS Course, select Level 1, and the printer icon. 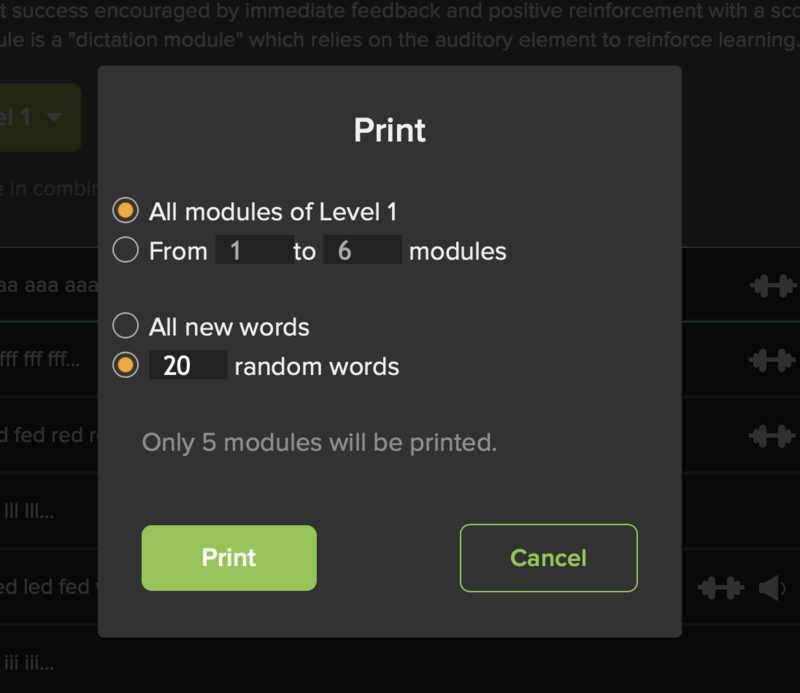 Select all modules of Level 1 and 20 random words and then select Print. This will provide a print-out with 20 randomly selected words from a particular level. Read out the list to your student and ask them to spell each word. If they receive 90% or higher, move to the next level. Repeat this process for each level until your student cannot achieve 90% accuracy.